It can happen in the blink of an eye. 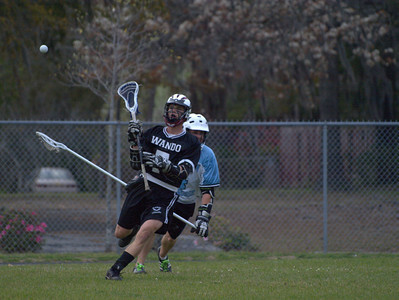 One moment Daniel Cochran was trying out for an all-star lacrosse team. A moment later, he was motionless on the field. Cochran, a sophomore at Fayetteville-Manlius High School in New York, was struck in the chest by a ball, and his heart stopped immediately. What happens frequently in youth sports across the country was about to kill the teenager. Fortunately athletic trainers and coaches responded immediately, and with the help of a defibrillator, they saved his life. Cochran had experienced commotio cordis, a condition in which a child or adolescent is struck suddenly in the chest. While this force most commonly has no significant effect, if it occurs at a certain point in the heart’s electrical rhythm, it can stop the heart from beating instantly. The cardiac arrest can kill its young victims within minutes. Lacrosse and other sports where balls travel quickly can instant kill players when hit in the chest. Commotio cordis is most commonly seen in youth sports. It occurs most often in youth baseball, but any sport that involves projectiles or sudden forces, like lacrosse, hockey, and even boxing, are potentially at risk. Fortunately it is a very rare event, with only a handful of deaths across the country each year. But when it does occur, it is fatal more often than not. Attempts to prevent commotio cordis in sports have been largely unsuccessful. While chest protectors have been advocated in youth sports like baseball, data has suggested that they might not decrease the fatality rate much. And if it does occur, calling 911 for rapid transport to a hospital will likely not help much either. These kids often die on the field before paramedics can arrive. Automated external defibrillators are critical pieces of life-saving equipment in sports. While recent statistics cite the fatality rate of commotio cordis at approximately 65%, the chance of surviving the blow seems to have increased in recent years with AED’s. Automated external defibrillators, once only seen in hospitals and doctors’ offices, have become standard equipment in sports medicine. And in these cases, they give the young athletes a chance to survive. An AED certainly saved Cochran’s life. This event needs to serve as an eye opener to schools, teams, leagues, and facilities that have young athletes competing in these types of sports. 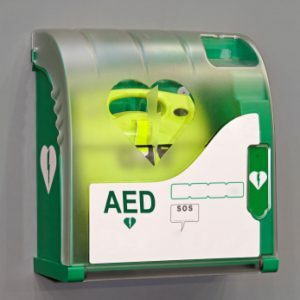 AED’s typically cost between $1000 and $2500, which many youth teams and leagues cannot afford. But they need to find ways to obtain them. Fundraisers for a one-time AED purchase or partnering with the practice or competition facility to have them available is critical. Also coaches need to be trained in the use of AED’s. With so little time available to institute the treatment, the coaches not only need to know exactly where the AED is but also how to use it properly. Certified athletic trainers should be trained in their use, but youth sports often do not have trainer coverage for games, let alone practices. Coaches and even parents need to know how to use these devices. Finally, kids in sports like baseball, lacrosse, and hockey need to be taught not to use their chests intentionally to block balls. While the risk is low in terms of sheer frequency of injury, the outcome if it did happen is often catastrophic. Daniel Cochran told reporters after discharge from the hospital that he intends to return to lacrosse. Fortunately an AED and quick-acting trainers and coaches gave him that opportunity. Let me know what you think? Do you play sports, and if so, are AED’s immediately available? Do you have ideas on how teams and leagues can raise money to buy them, or is there another way to get one? Note: This post appears as a column in the June 22, 2011 issue of The Post and Courier.